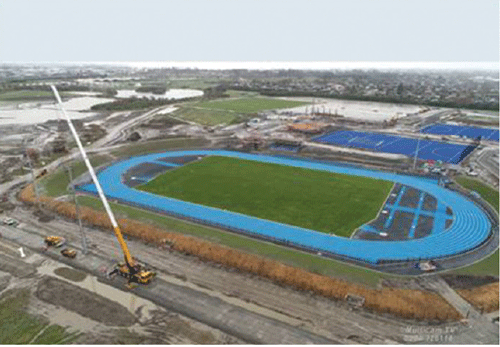 Canterbury’s earthquakes severely damaged many sports facilities in the region but recovery is now well on track as work continues apace to complete Nga Puna Wai Sports Hub near Wigram. On an 83 hectare site beside Canterbury Agricultural Park, the hub will predominantly cater to four sporting codes – athletics, hockey, tennis and rugby league – as well as encouraging wider public participation by hosting various innovative programmes with a health and recreation focus. 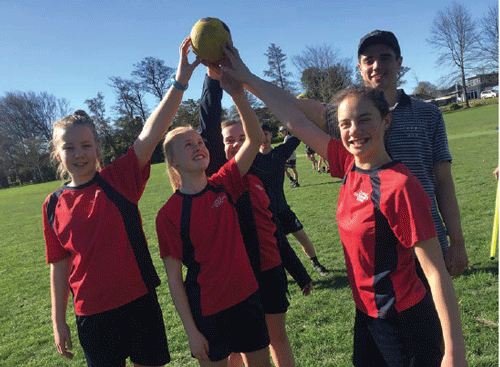 “This is not just about positioning infrastructure; we’re trying to drive a real partnership philosophy and build a greater level of participation over and above the delivery of sports competition,” says Sport Canterbury’s chief executive Julyan Falloon. Sport Canterbury has long been a strong advocate for the sports hub model as a way to help the region’s post-quake recovery. Key amenities lost in the earthquakes included Canterbury Hockey’s turfs at Porritt Park, and athletic tracks at QEII Park. Canterbury Rugby League sacrificed their home of rugby league to make way for a temporary stadium, while Wilding Park – the historic home of Canterbury tennis – was badly quake-damaged (only finally reopening last May after extensive repairs and redevelopment). While wet weather slowed progress last year, the sports hub is now fast taking shape. Vandalism of the athletics track in May has since been repaired. A host of contractors were engaged to complete the new hub including Hawkins 2017 Ltd (for construction of the communal hub building, shared changing rooms, covered seating for the rugby league grounds and the control building for athletics); Rooney Earthmoving Ltd; track contractor Polytan NZ Ltd; and civil works contractor HEB Construction Ltd.
Key amenities at the hub will include a 400m nine-lane athletics track, 12 outdoor acrylic tennis courts, two international-grade hockey pitches and two rugby league fields. Sport Canterbury has also lobbied consistently in support of Christchurch’s much-delayed metro sports facility and stadium. Both of these now have the green light. The original plan for the metro sports centre was trimmed back in April 2018, so as to avoid a budget blow-out, and is due for completion by late 2021. In June, the Christchurch City Council also announced its decision to fast track funding for the new stadium, within its long term plan.